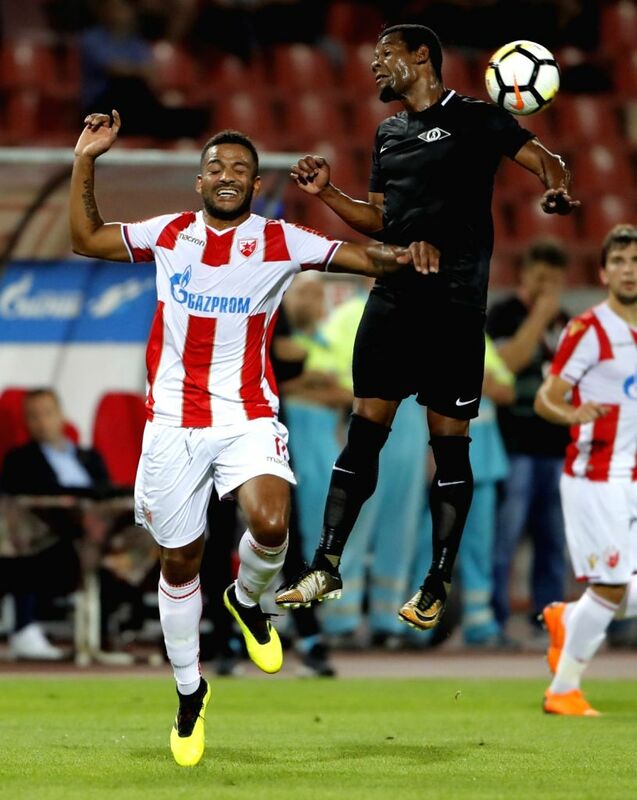 BELGRADE, July 18, 2018 - Crvena Zvezda's Lorenzo Ebecilio (L) vies with Spartak's Vitor Silva Honorato during the first qualifying round UEFA Champions League football match between Crvena Zvezda and Spartaks in Belgrade, Serbia, on July 17, 2018. Crvena Zvezda won 2-0. Crvena Zvezda's Lorenzo Ebecilio (C) and Branko Jovicic (R) vies with Spartak's Kaspars Svarups during the first qualifying round UEFA Champions League football match between Crvena Zvezda and Spartaks in Belgrade, Serbia, on July 17, 2018. Crvena Zvezda won 2-0. 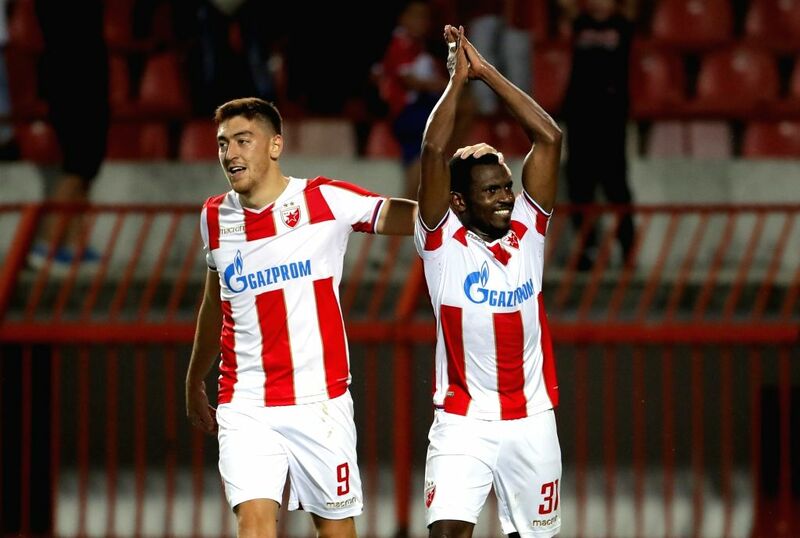 Crvena Zvezda's Milan Pavkov (L) and El Fardou Ben Nabouhane celebrate during the first qualifying round UEFA Champions League football match between Crvena Zvezda and Spartaks in Belgrade, Serbia, on July 17, 2018. Crvena Zvezda won 2-0. Crvena Zvezda's Nemanja Radonjic (2nd L) competes during the first qualifying round UEFA Champions League football match between Crvena Zvezda and Spartaks in Belgrade, Serbia, on July 17, 2018. Crvena Zvezda won 2-0.